At Tea Gardens, there is major issues and loopholes in the complete system which is incurring a huge loss to the owners. To serve this purpose and remove every loophole with a single solution, Star Link has designed and developed a solution namely Tea Garden Solution. This solution is a combination of hardware and software which takes care of various activities in the tea garden. 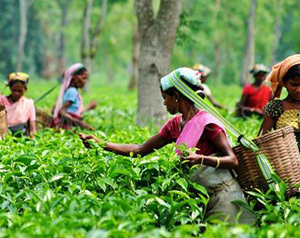 For Attendance purpose:– Since there are a huge number of workers employed in tea gardens, we have segregated the workers into different categories like permanent, contractual and emergency. And we have also created work-heads for various types of activities like tea plucking, water sprinklers and labours. Depending on the locations, we have also provided location cards. This has solved the issue, as for every worker, their fingerprint is registered and they mark their attendance based on above parameters i.e work-heads, locations, & category. For Tea Leaves Weighment:– We have designed our solution in such a way that all the manual interpretation of the operation cycle is removed. To make tea leaf measurement process automated, we have integrated the weighing scale with the biometric device. Now every time any worker measures their tea leaves plucked in a day, their measurement record is automatically updated against their name in the software. For Payment Process:– In this solution, our software calculates the salary/wages based on the work heads. Some workers are daily wage workers and some are weekly. We have also managed the solution in such a way that wages can be calculated on the basis of tea leaves measurement at the end of the day. Lastly, multiple reports are generated for each activity and discrepancy reports are also generated like who forgot to punch, who forgot to measure tea leaves, etc.. You can generate reports daily, weekly, work-heads wise, location wise, tea weight wise, etc.. Implementation of this solution can certainly help to remove the loopholes in the existing system and helps you to manage everything with a single click of a mouse.